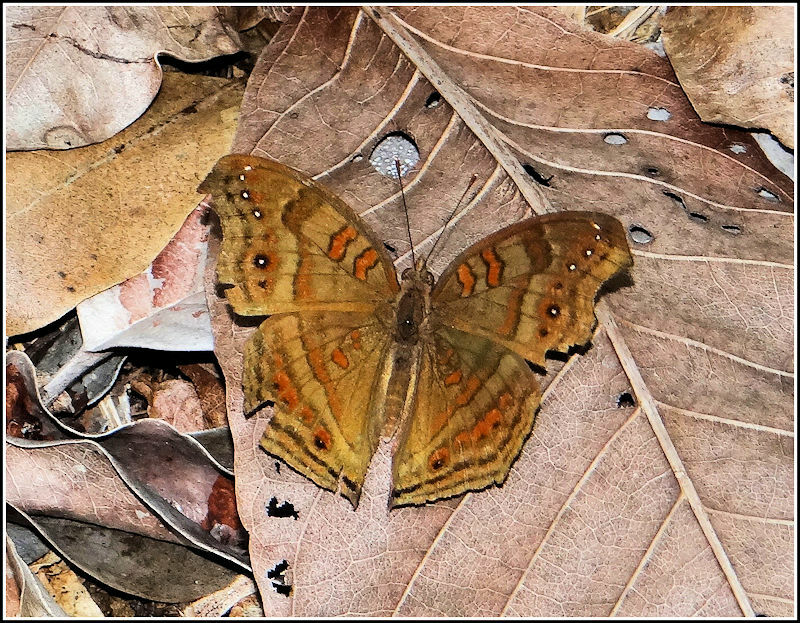 Junonia goudotii is a butterfly in the family Nymphalidae. It is found on Madagascar, the Comoros and Mauritius.The habitat consists of forest margins and transformed grassland. Beautiful butterfly, unknown to me. As always the exposure and sharpness are the best. Just matching with the background and well lit shot, excellent. Live object on dead leaf. Looks like lotus on cow dung. Excellent image quality of a lovely, colorful specie. Lovely colors of the wings. Madagascar Luciano? Great!!! This search elevates the photograph of butterflies to a higher level. Thank You!!! Best wishes for 2019 and keep Your focus.Take care. Again congratulations 🎊 🎊 🎊 for a new butterfly 🦋. I can see you were in Madagascar 🇲🇬, not far from South Africa. Well captured with good details and exposure. Les feuilles aident cadrage de l'insecte. La prise de vue permet de voir les détails du papillon Junonia goudotii. La lumière fait ressortir la beauté des couleurs. Bonne journée.